Give the gift of surprise to the bride-to-be. Makes a perfect gift from a fiance, mom, maid of honor, bridesmaid or friend. 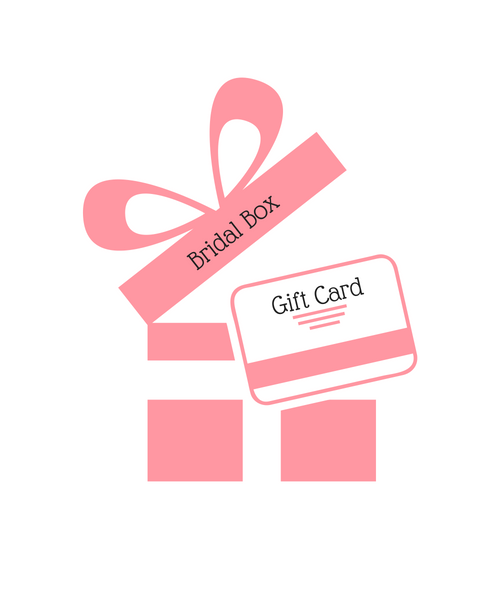 Gift card good towards monthly bridal box subscriptions. Available for 1 month ($34.99), 3 months ($101.97) or 6 month (197.94) subscriptions. Includes $5 flat fee shipping charges per box.